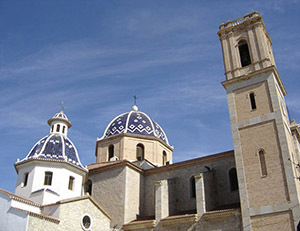 Carmelite Monastery Church at La Olla. 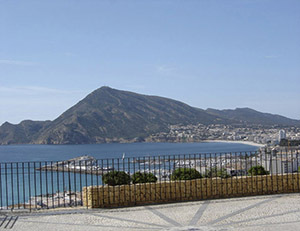 Torre de la Galera. 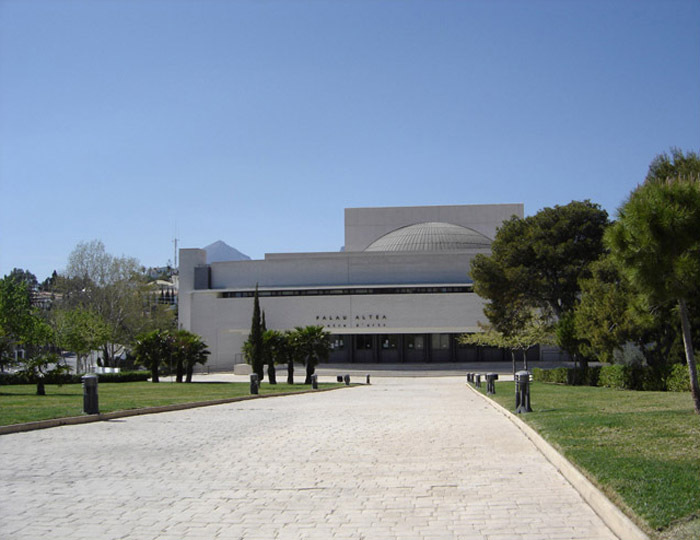 Declared of Cultural Interest. Bellaguarda tower. 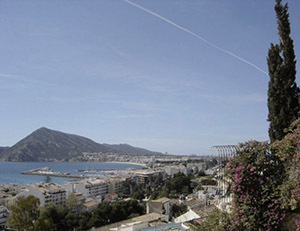 Old tower, now located next to a picturesque park in the neighborhood of Bellaguarda (the oldest part of the current Altea). 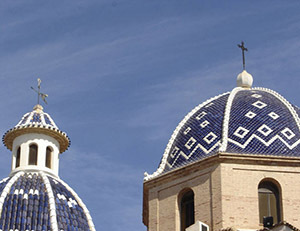 Parish church of Nuestra Señora del Consuelo. 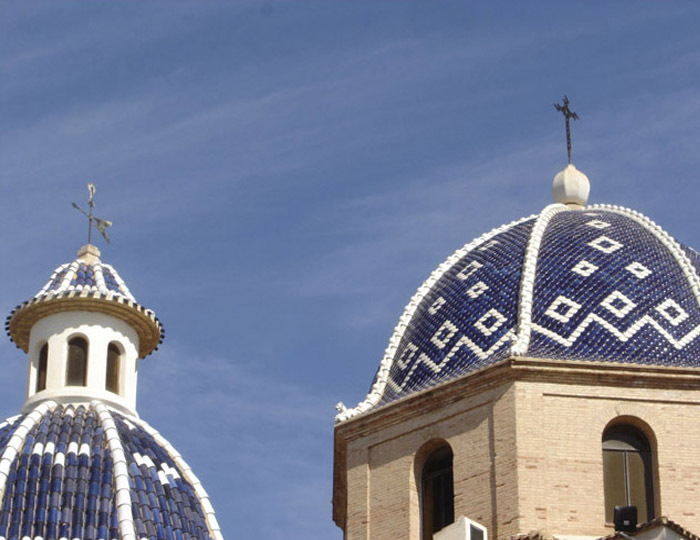 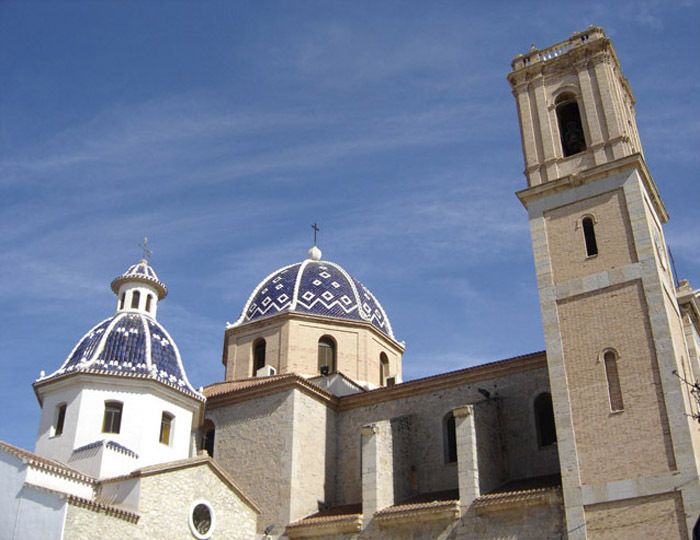 The main church of Altea, is best known, with its two domes that delight the eye of every tourist, besides being the quintessential emblem Altea and are called "the dome of the Mediterranean" for its beauty and splendor. Old Town. 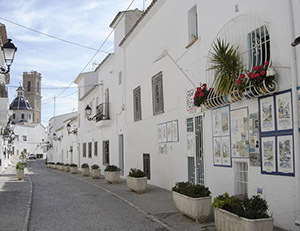 Next to the Church of Solace, is the old town, popularly known as the Fornet. 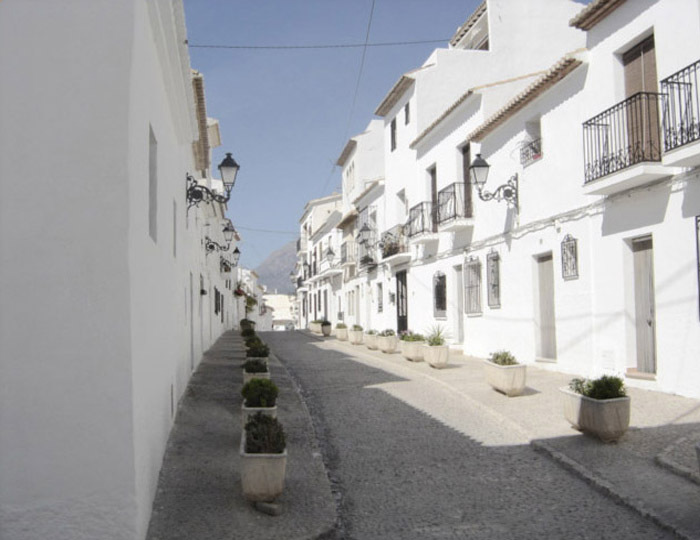 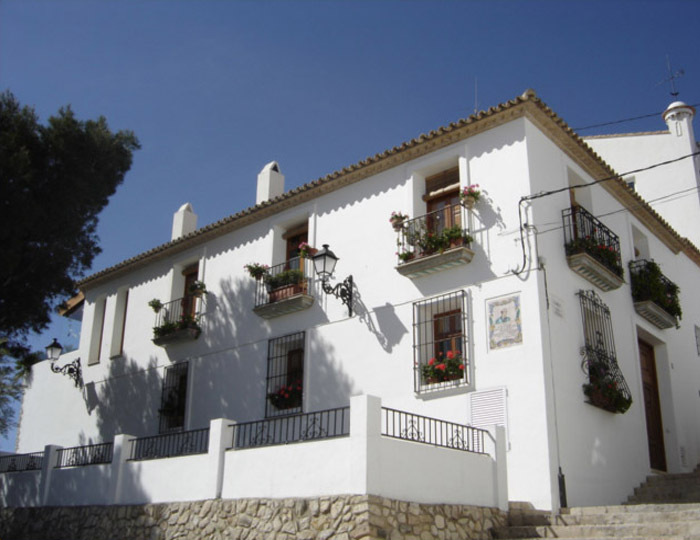 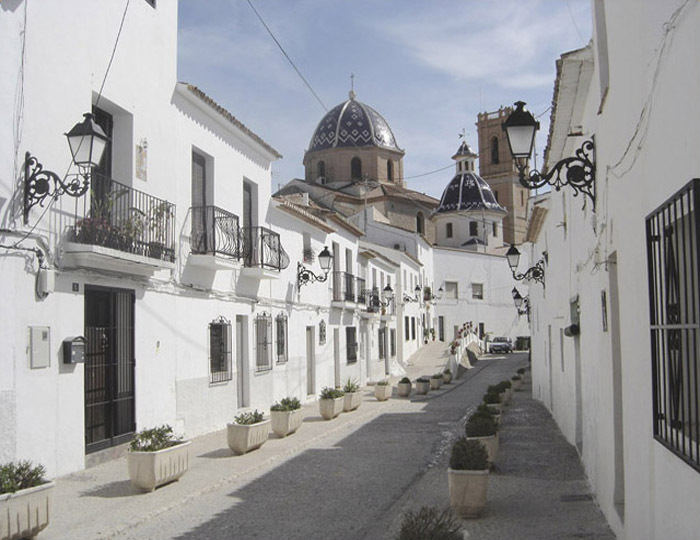 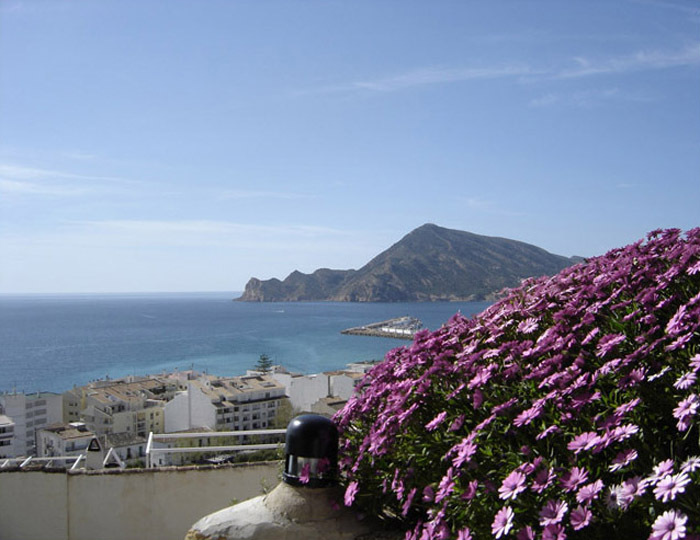 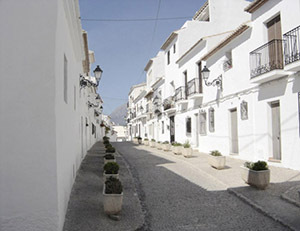 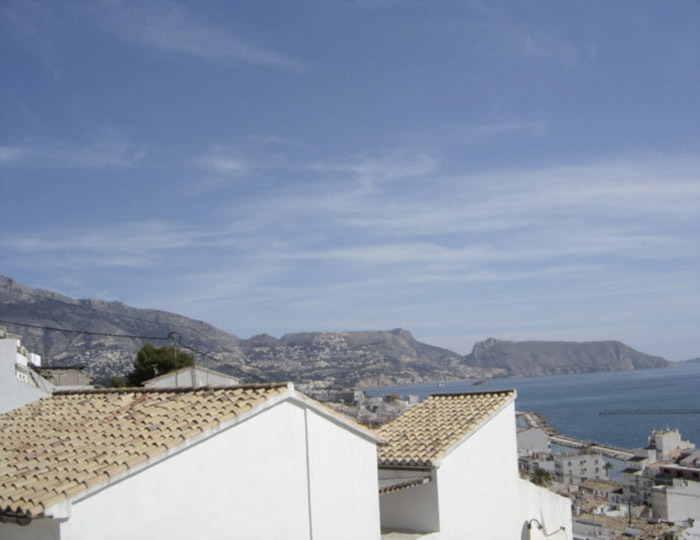 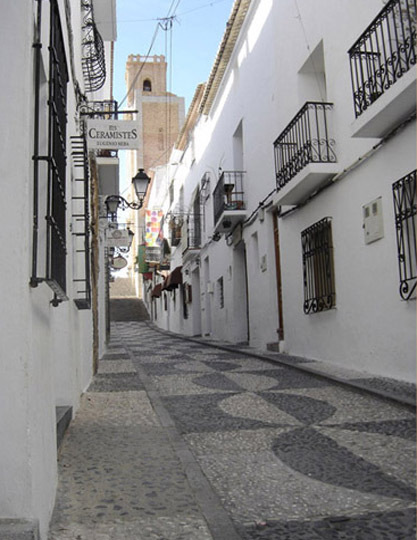 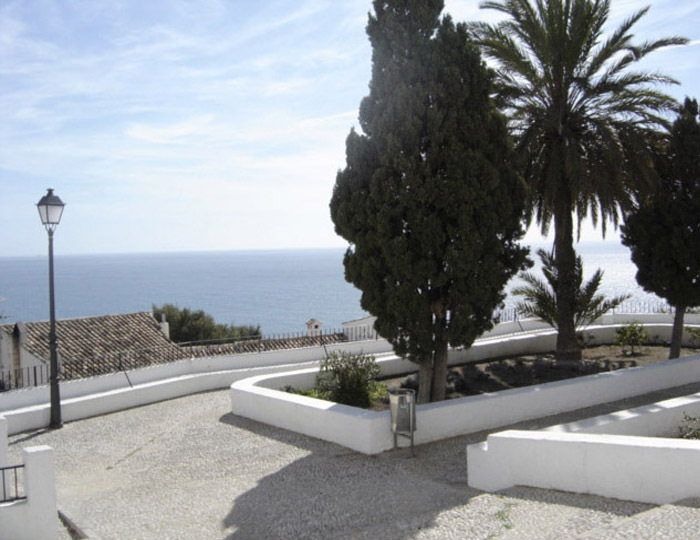 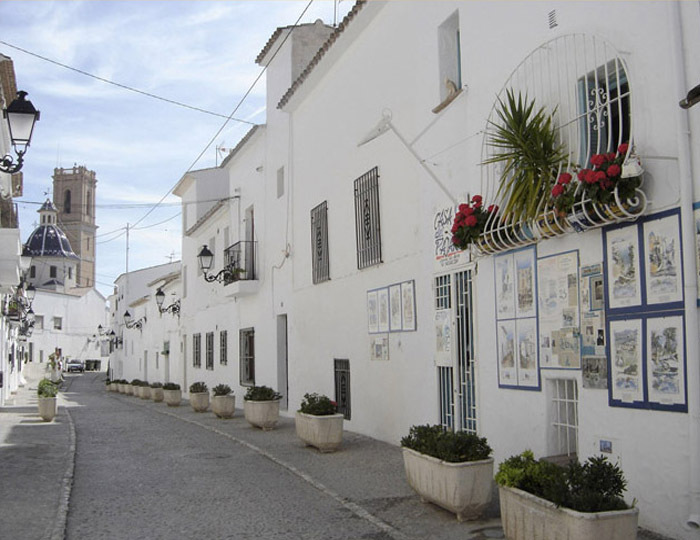 This is one of the most beautiful areas of the city of Altea. Enjoy the many viewpoints that are, as it lies on top of a hill. As well as to enjoy a pleasant evening dining at one of the many restaurants, found here or just a drink enjoying the culture of fishing village, so well preserved Altea with its white houses, flowers and cobbled streets. Altea palace. 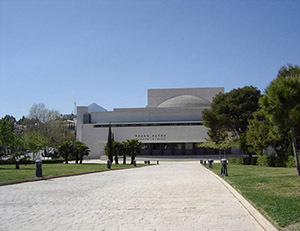 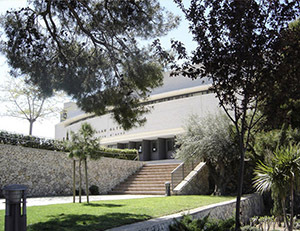 Culture and Congress Center Altea. In this building you can admire from a print of Picasso to enjoy a magnificent opera at the hands of the soprano Ainhoa Arteta, to a play or simply accompanying the artist Julio Iglesias, one of his concerts. 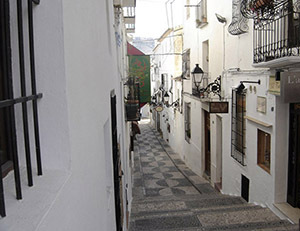 Promenade. Where you can stroll, enjoying a nice sea breeze in one of the many terraces that are in it, as well as restaurants and pizzerias. 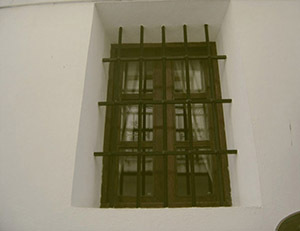 - La Olla. 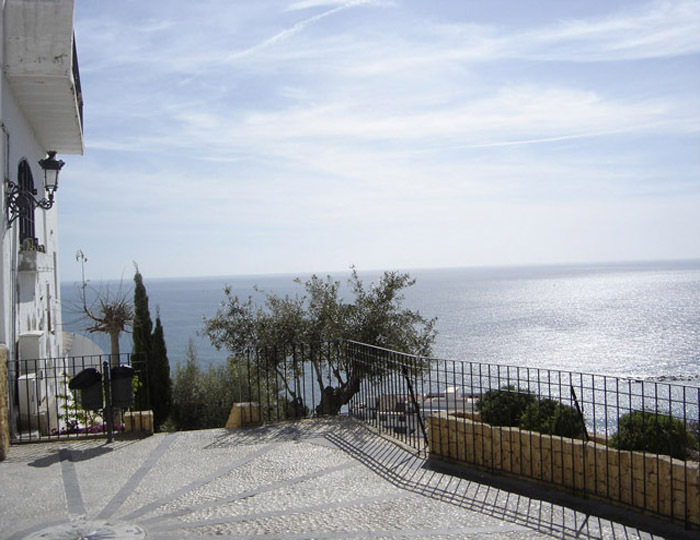 The pot has a long tradition of summer retreat of the century. 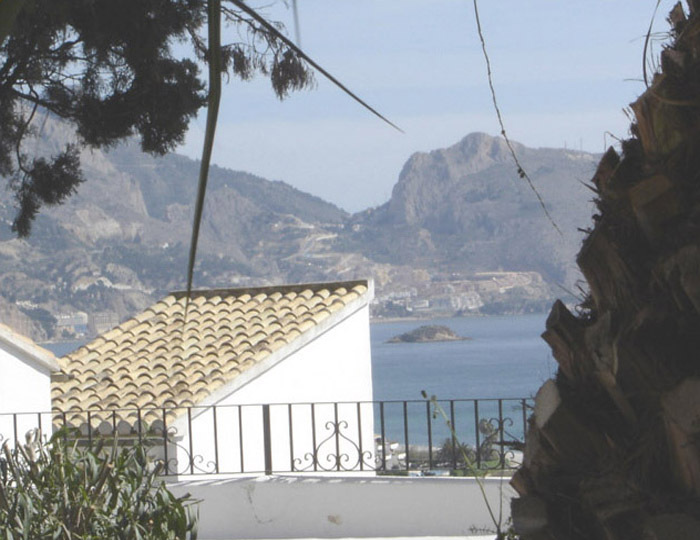 Off the pot emerges from the sea the "islet", tiny island 500 meters from the beach, a great shell that emerges from the waters, attracts boaters to admire the beauties of this corner. 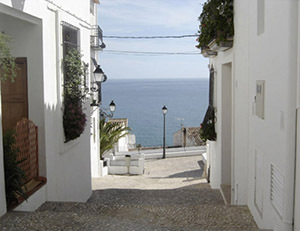 When colder it gets in this part of town is a place in this beautiful beach where the water begins to boil, hence the name. 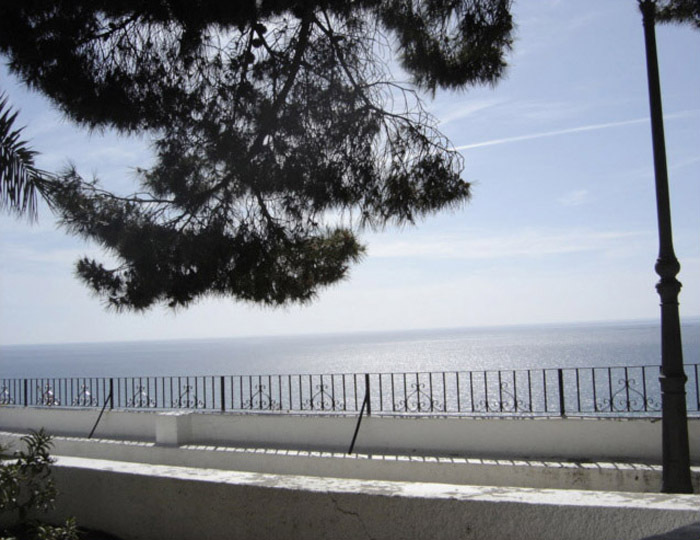 - Cap Negret. Gravel and clean water, very popular with his tranquilidad.Su name comes because in one of the beaches in this part of town-Caiola gure''`` where a large number of volcanic rocks beneath the rocks of a peculiarly minister has head shape and because the volcanic rocks are black, hence the name. 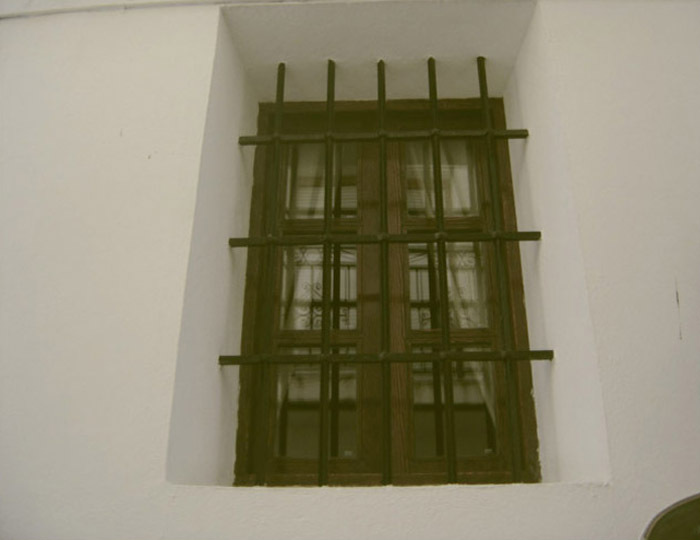 - The Mascarat. 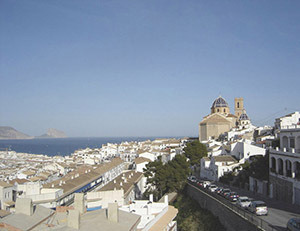 Under the towering mountains of Bernia, is this enclave. Here is the Puerto Deportivo Campomanes. 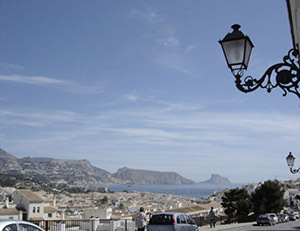 Mascarat is adjacent to the neighboring town of Calpe. 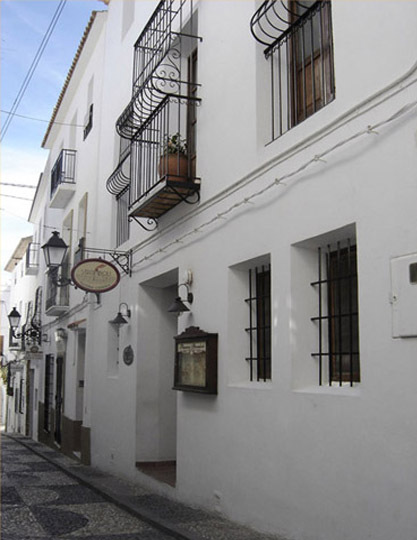 - La Roda. 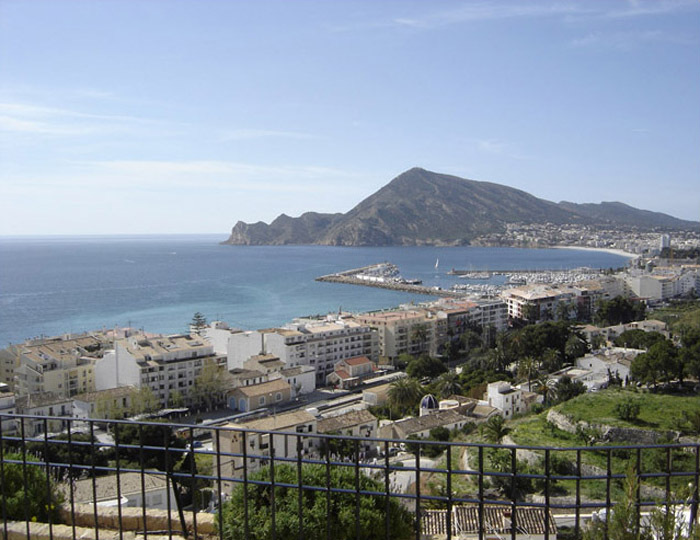 It is the busiest beach, since it is located in the town of Altea. 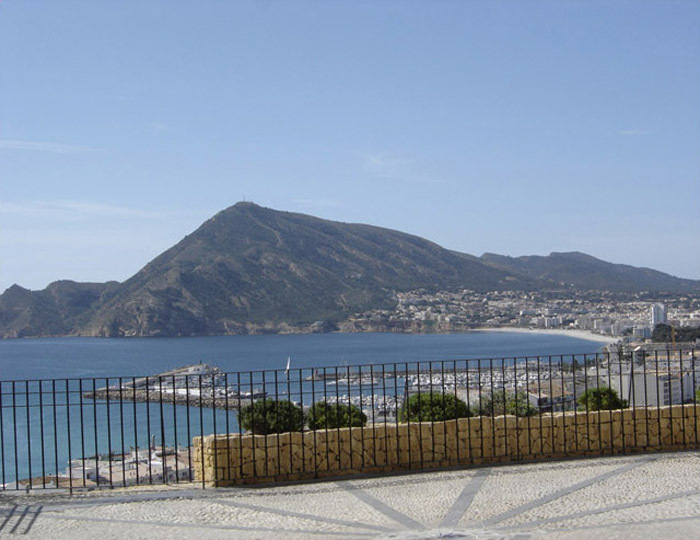 - Cap Blanch. 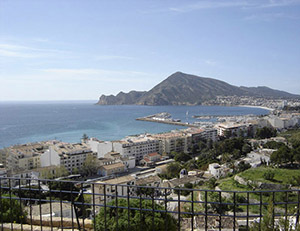 The largest beach of Altea, increases considerably in width until it joins the beach of Albir, which belongs to the municipality of Alfaz del Pi.